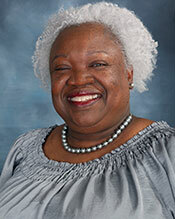 Denise Taylor Patterson is the Director of Philadelphia Intellectual disAbility Services (IDS), a division of DBHIDS. In this capacity she oversees the programming for two Philadelphia County Programs: Services for individuals with an Intellectual disAbility and the Infant Toddler Early Intervention Program. Taylor Patterson began her employment with the City of Philadelphia in 2000. Prior to her work at IDS, she was the Assistant Director at the Philadelphia Society for Services to Children (now Turning Points for Children) a private child welfare agency. Taylor Patterson had been the Assistant Director for 15 years overseeing programs that focused on the prevention of child abuse and neglect, strengthening families and teaching parenting skills. She has worked in the field of child welfare for 23 years. Taylor Patterson was also a Continuing Education Instructor at Bryn Mawr College Graduate School of Social Work and Social Research (1991-2000) and adjunct faculty at Chestnut Hill College (1999/2000). Taylor Patterson earned a Bachelor’s degree in Sociology and certification in Secondary Education in 1975 from Beaver College (now Arcadia University). She earned a Master’s Degree in Clinical Social Work in 1977 from the Bryn Mawr College Graduate School of Social Work & Social Research and a Post Masters Certificate in The Administration of Social Service Agencies from Temple University School of Social Work Administration in 1986. She has been a licensed Social Worker in Pennsylvania since July 1991.